Frank Kowalkowski is a Shareholder in the Green Bay office of von Briesen & Roper, s.c. He has an extensive Federal Indian Law practice representing municipalities, counties, state governments, businesses and individuals relative to fee to trust applications, reservation boundary disputes, jurisdictional disputes, land use issues, mining operations, tribal permitting, tribal taxation, tribal business licenses, contracting with Native American tribes, tribal jurisdiction over non-tribal members, on and off reservation hunting and fishing rights, EPA regulations, and tribal policing authority. He has handled cases in state, federal and tribal court, as well as the Interior Board of Indian Appeals in Washington, D.C. He has given numerous presentations, authored articles and has been quoted in various publications on the topic of Federal Indian Law. Frank is recognized in The Best Lawyers in America® for Native American Law. Frank is also a member of the Construction Law and Litigation Section where he represents contractors, material suppliers, architects, engineers, municipalities and owners on issues in both commercial and residential real estate projects, including real estate acquisition and development, contracts, construction claims, insurance coverage disputes and the establishment and foreclosure of liens. He has represented clients throughout the country in Wisconsin-based construction disputes. Frank was featured in the Wisconsin Law Journal as one of the Top Construction Lawyers in Wisconsin in 2008. He developed the curriculum for the Construction Law and Builder Qualifier courses at Northeast Wisconsin Technical College, which he also teaches. Frank has a significant appellate practice and has represented clients before the 7th Circuit Court of Appeals, the U.S.?Supreme Court, the Wisconsin Court of Appeals and the Wisconsin Supreme Court. Frank is very active in the community and currently serves as a member of the Executive Committee of the Board of Directors for Neville Public Museum Foundation Inc. where he also chairs the Governance Committee. He previously served on the Board and Executive Committee for the Lakeland Chapter of the American Red Cross and as President of the Notre Dame of De Pere School Board. 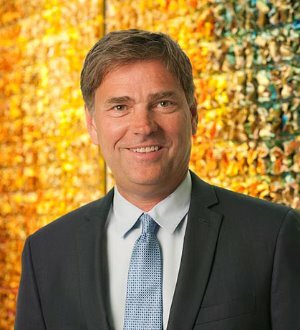 He is a member of the Green Bay Area Chamber of Commerce, the Brown County and National Home Builders Associations, the Brown County and American Bar Associations, and the State Bar of Wisconsin.